Condition report – There are a few minor dents around the right rear of the car and some noticeable scratches around the body. The front tyres need replacing and detailing is needed inside and out. Odometer reading shows – 63182 kms, engine size 4, manual transmission, seats 5, doors 5, front wheel drive, petrol engine. 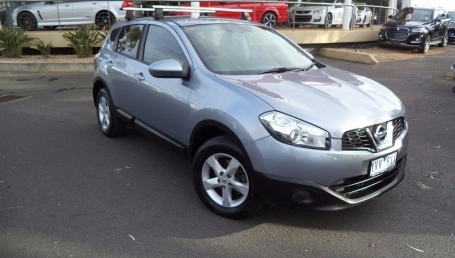 The 2011 Nissan Dualis hovers between the small car and medium SUV categories, aiming to please an extra group of drivers and squeeze in just a few more passengers. If you read reviews of the 2007 model, you’ll consistently see how the Dualis struggled to make its way into the Australian market. By 2010, the higher driving position and option for an extra row of seats along with its price shift and extra features gave it a foot in the door and eventually a solid spot in the compact SUV genre. 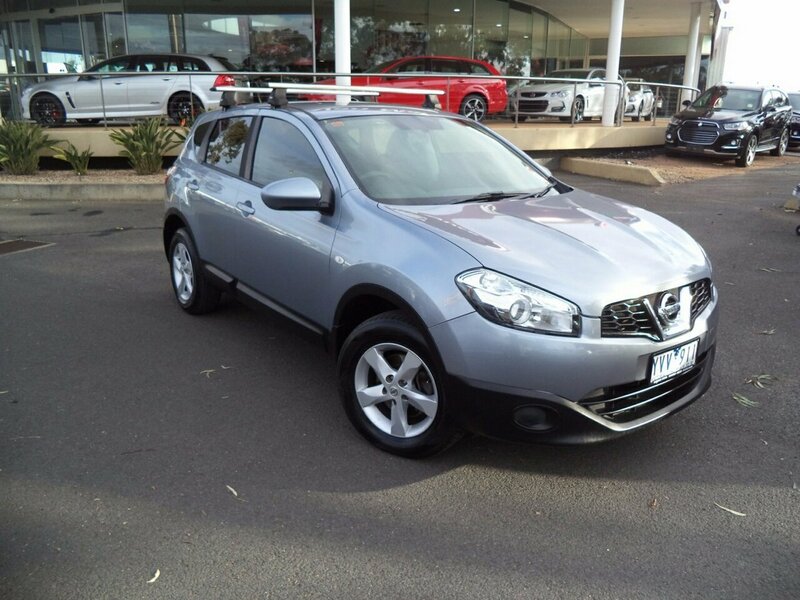 The market for used 2011 Nissan Dualis cars starts with an asking price in private sales around $8,000 and goes up to roughy $19,000. The amount a Dualis will actually go for depends largely on the number of previous owner and regular, documented, service history, the odometer, extra features, and overall wear and tear on the body and interior. The Dualis comes as either an ST or Ti variation with some nuances within each version, and all have the standard 2.0 litre, 4-cylinder petrol engine. Options for transmission include a CVT auto and a 6-speed manual with a standard front-wheel-drive and option for all-wheel-drive. The engine makes 102kW power and 198 Nm torque which doesn’t exactly make it an accelerating powerhouse. In its favour, the Dualis delivers punch when needed around town and provides smooth gear-shifting while quietly gliding over bumps in the road. For anyone with basic city-driving needs, the Dualis provides all you need. The Dualis is best used as a family car in which backseat passengers are almost always small children, as the roominess of its quasi-SUV identity slacks off a bit toward the rear. Even with roomy front seats and plenty of legroom, taller passengers may find their hair brushing against the ceiling in the second row, and may even make solid contact in the third. The boot is a spacious 410 litres so you’ll be able to pack in plenty of groceries, some luggage, and definitely a pram. -The Dualis engine was downgraded from the X-trail from a 2.5L to a 2.0L and the loss of oomph is definitely noticeable, especially if you plan to move lots of passengers at once. -Only the top of the range Ti version has side airbags and stability control so if you’re looking at a different version you’ll need to check if the optional safety package was purchased. All models did receive a 5-star ANCAP rating however. -Check rear shock absorbers for an oily film as this is a sign of early failure, common in some Dualis cars. The Dualis is known for its smooth sailing so if a test drive proves to be rather noisy and rattley, you know something isn’t right. -Disc rotors have reportedly worn out around the 50,000km mark so make sure you get the brakes checked if you’re buying a heavily used Dualis. -Several cars were recalled for steering issues and some consumers reported other steering issues that were costly to fix or resulted in a power-steering failure that left the car drivable but with much more driver effort, reducing the safety. As with any used car, it’s important to have a trusted mechanic perform a thorough inspection so you don’t have any surprises on the road. If you’re selling a Nissan Dualis, it’s good to know about potential setbacks that may affect your potential asking price. Not looking at the Dualis? We’ve got a Buying & Selling Guide for the popular Nissan Pathfinder here, and a comprehensive Buying & Selling list here.